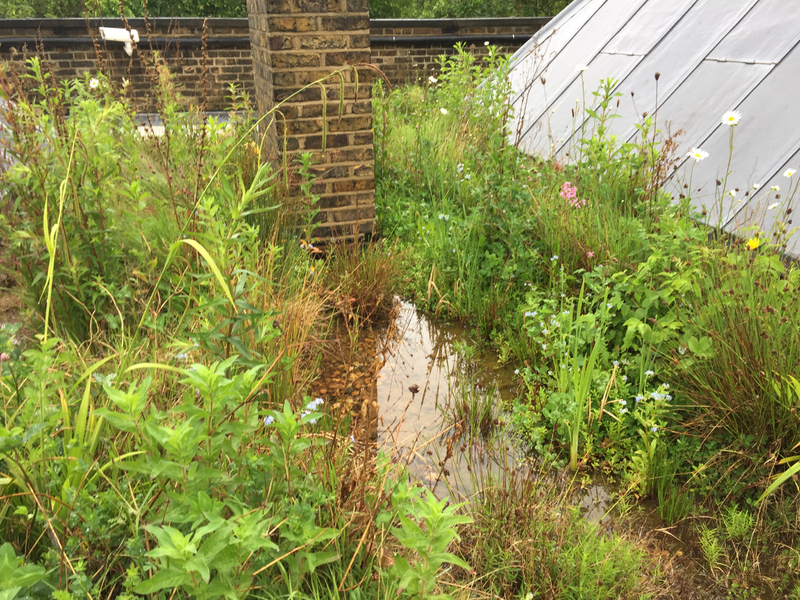 London’s first wetland green roof that was installed in the summer of 2013 on the roof of the Victoria and Albert Museum in London is flourishing. The visit in May was undertaken with Leon Blaustein of the the the Kadas Green roofs Ecology Centre in Israel. 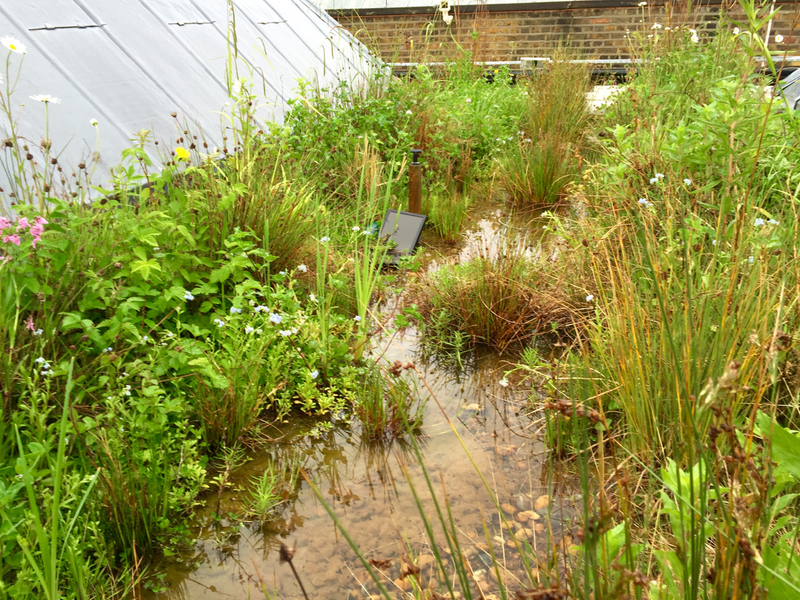 The roof is flourishing and home to a variety of wetland invertebrates. How the pond snails arrived is open to question? They probably arrived on the feet of birds. We know that herons visit the roof along with wagtails and other small birds. There are a number of interesting plants that have colonised the roofs as well. A few flower heads of Lady’s Smock Cardamine pratensis were evident on our recent visit as well as Narrowed leafed Mountain Mint Pycnanthemum tenuifolium. This species heralds from the US and maybe arrived via a garden in the area. The plant was identified by the UEL green roof team who are undertaking a research project on solitary bees. 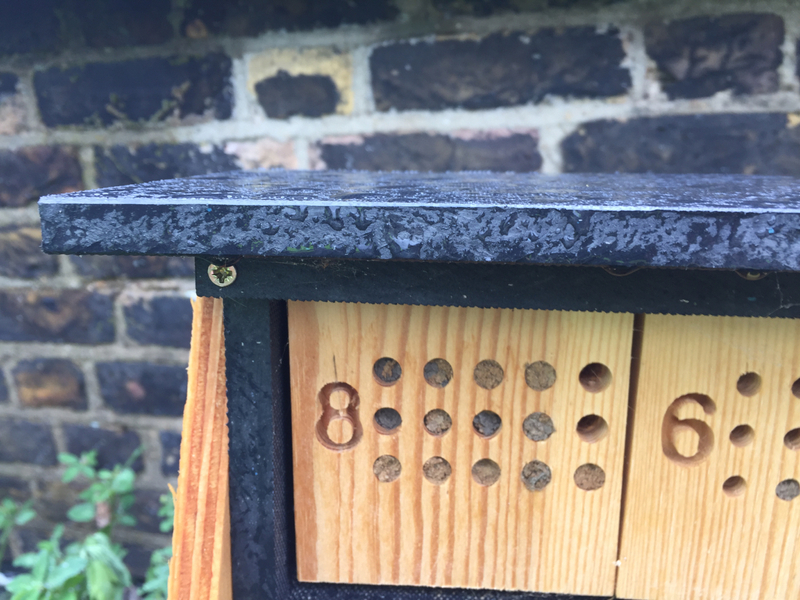 Bee hotel stations have been placed on a number of green roofs in London. The station at the V and A was filling up when we visited. 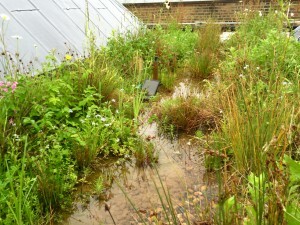 The Green Infrastructure Consultancy conceived the idea on a visit to the roofscapes of the V & A back in 2012. 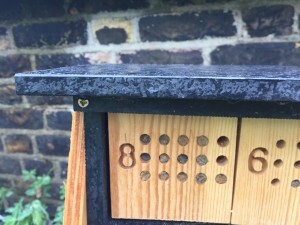 The delivered project was a collaboration between the Victoria and Albert Museum, Buglife – The Invertebrate Conservation Trust, and Cofely GDFSuez. Funding for the project was from Western Riverside Environmental Fund (WREF). The V&A lies within the Counter’s Creek Sewage catchment, a lost river system that is prone to overflowing and causing floods in the area. There is a need to retrofit green roofs in the Counter’s Creek area to ameliorate the impact of urban floods has been identified. 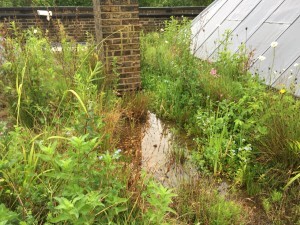 The creation of London’s first wetland roof stores more rain water than a standard green roof. GIC has been a leader in designing innovative solutions for biodiversity and climate change adaptation in London for over 20 years. Through our understanding of urban green infrastructure and roofs we can recognised opportunities to stretch the envelope. The V and A is certainly an example.